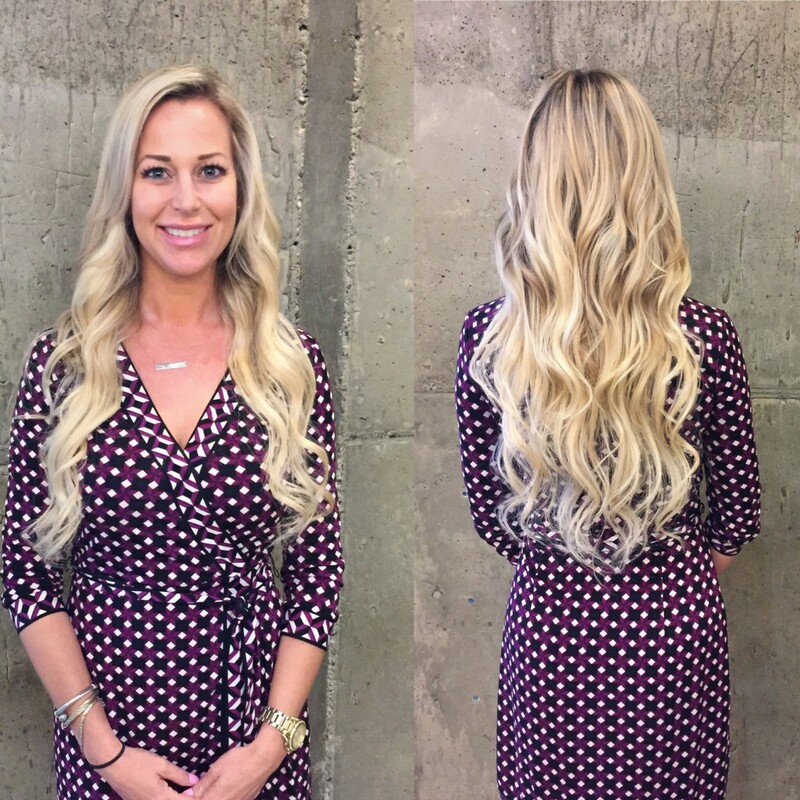 Taylor Vander Laan has become an expert on extensions at our Court Street location. We sat down with Taylor to get the scoop on what extensions do, who might benefit from them, and why installing them brings her so much joy. Extensions are a way of temporarily adding hair. They can be used for volume, length, or even as a way of accenting hair color. They can stay in for 6-8 weeks at a time, during which you can wash and style it as you would your own hair. The extensions are high quality, made from real hair, and can be reused multiple times before needing to be replaced. What types does Spoke SLO offer? 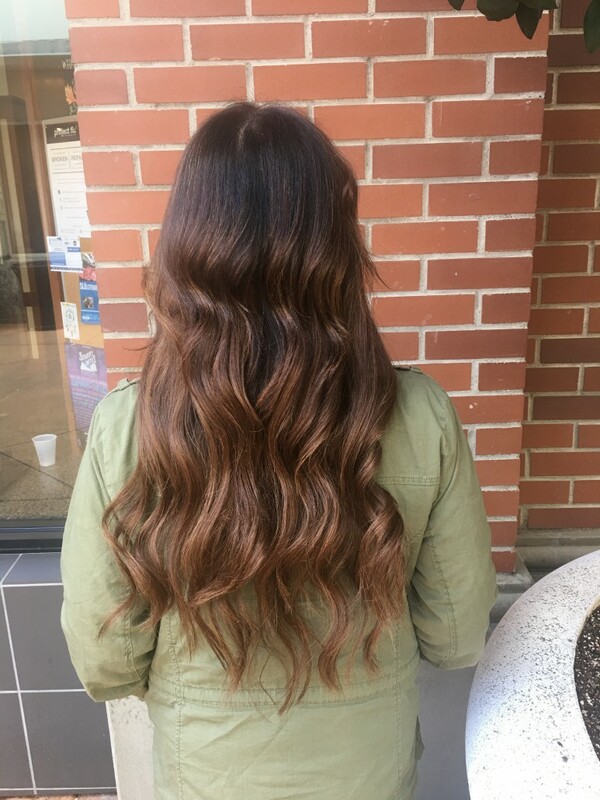 I provide a tape-in extension service, which is a great way to add a lot of hair in a short amount of time, and great for long-term use since they lay flat against the head which makes them really comfortable and are also very gentle on the hair. Another stylist here, Janelle Parrish, offers bead extensions. How popular are extensions at Spoke SLO? Extensions are color-matched with a swatch from our hair providers. We choose from solid colors, highlighted colors, fashion colors and ombré to match up what is best suited for the client’s hair and their desired result. With all the options we have available, it’s no problem for us to get a seamless blend. It’s also a great way to try out fun new colors without having to fully commit to coloring your own hair. Who are extensions a good option for? Anyone wanting longer or thicker hair is definitely a good candidate for extensions. 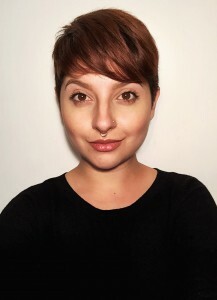 My favorite extension transformations are those on women who, due to health problems, hair disasters at other salons, or just genetics, are unable to grow the thick hair they dream of having. Seeing the difference I can make in someone’s confidence level is my favorite part about doing extensions. It’s important to mention that maintenance is key with extensions. Anyone who is interested in them is encouraged to come in for a complimentary consultation to see if they will fit in with their lifestyle. Why did you become an expert at extensions for the salon? I started out doing extensions as an intern for Spoke SLO owner Christine Thompson. I had some previous experience with them, so I was able to assist her with removal and prepping. I eventually started to do maintenance appointments, and with the encouragement of Christine, I began to offer extensions as one of my services as a stylist. It’s so fun to give women styling options they never thought were possible! To book a consultation or appointment with Taylor Vander Laan, call 805.781.6188.